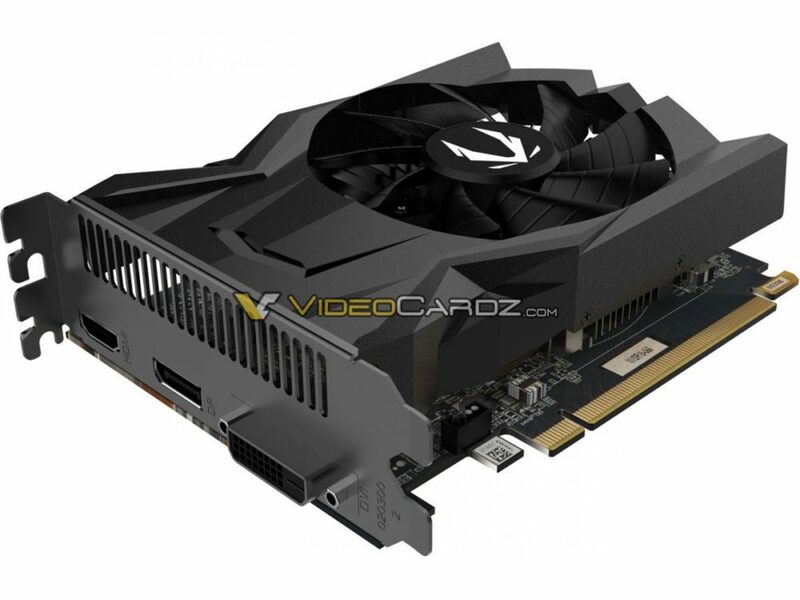 Today we share the first picture of GeForce GTX 1650. 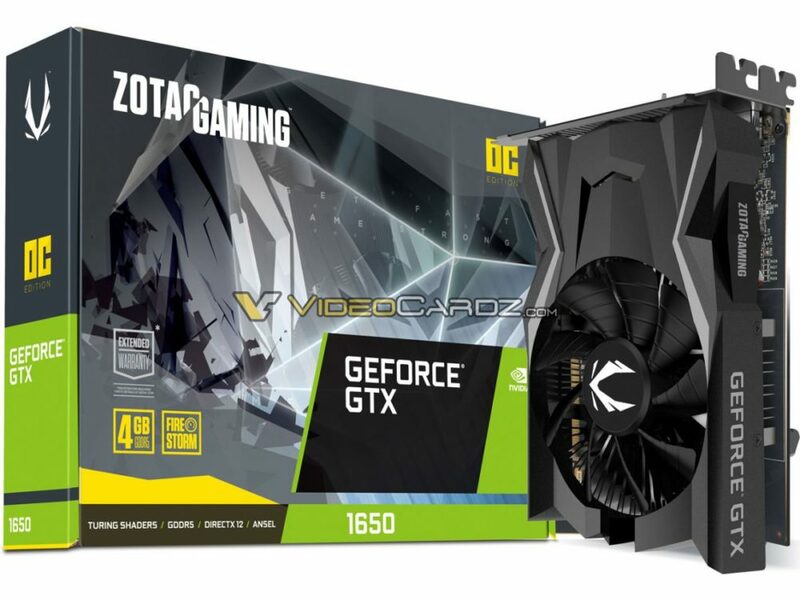 Here is the world’s first look at GeForce GTX 1650 from ZOTAC. The card is a single-fan Mini-ITX form factor design. It is equipped with three display connectors: HDMI, DisplayPort, Dual Link DVI-D.
What really stands out from the design is lack of any power connectors, which confirms that Turing TU117-based GeForce GTX 1650 requires less than 75W to operate. 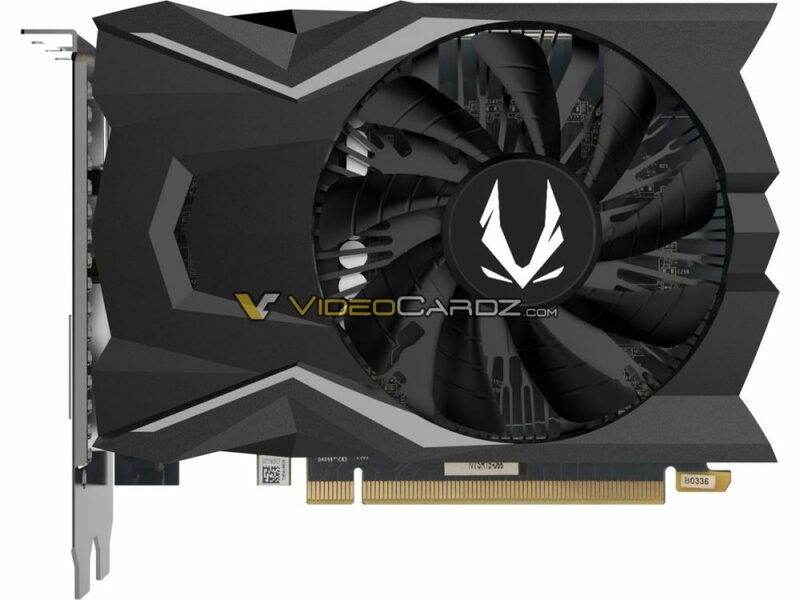 The GeForce GTX 1650 is expected to launch in roughly two weeks from now. 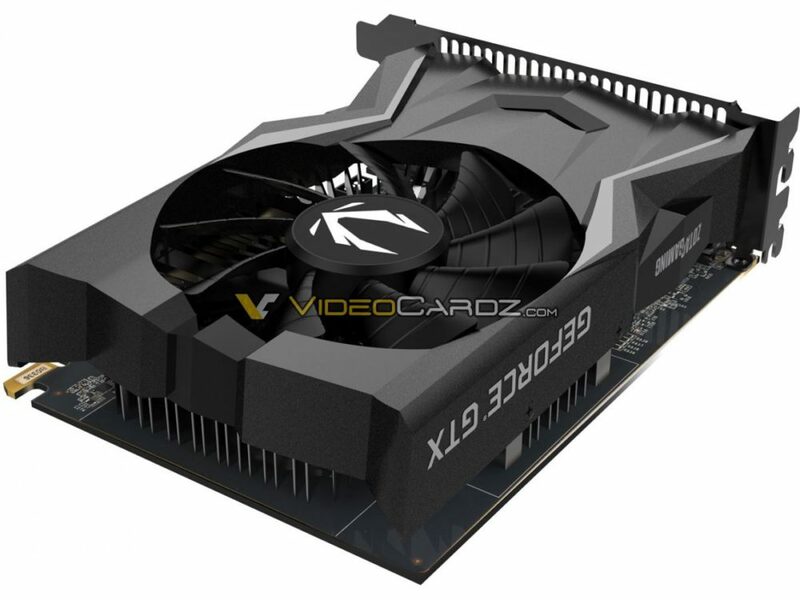 This SKU will occupy the entry-level segment for casual 1080p gaming.